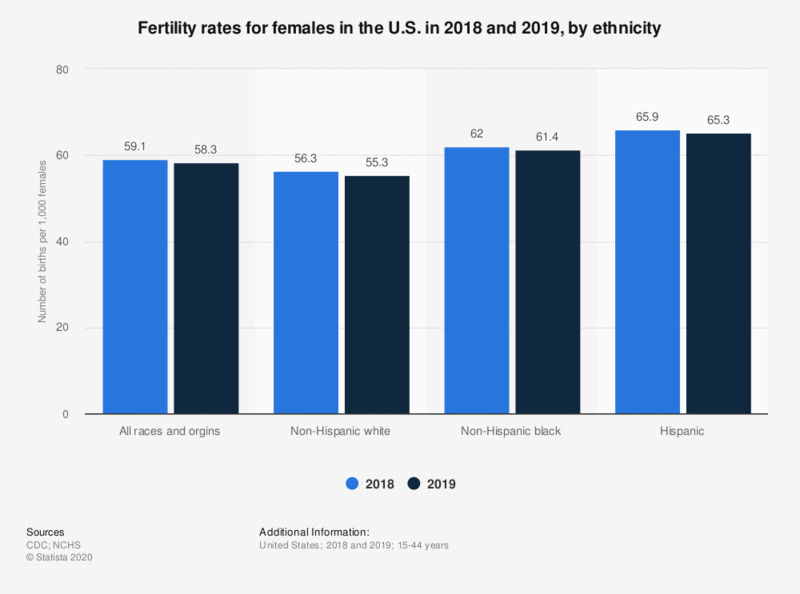 This statistic shows the fertility rate for females aged 15 to 44 years in the U.S. in 2016 and 2017, by ethnicity. In 2017, the fertility rate among Hispanics was 67.6 per 1,000 females. The overall fertility rate for females in the U.S. was 60.3 per 1,000.